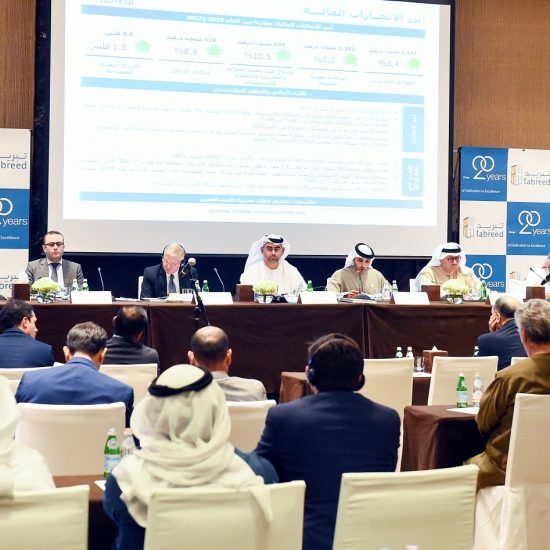 |By Arabian Post Staff| UAE’s National Bonds Corporation announced the results of its 2016 Savings Index for select GCC countries based on a survey conducted across Saudi Arabia, Bahrain, Kuwait and Oman. The results showed that the UAE recorded the highest percentage of regular savers – 37 percent – compared to 25 percent in Saudi Arabia and 27 percent in the rest of the surveyed GCC countries combined. Conducted by Amman-based Sondos Market Research, the survey aimed to gain feedback from respondents on three key areas – financial stability, saving potential and existence of an enabling saving environment in their respective countries. According to the results, 50 percent of respondents in Saudi Arabia and 55 percent in Bahrain, Kuwait and Oman are the sole earners in their families, while 44 percent across the board partially contribute to their household income. The index further revealed that 25 percent of respondents in Saudi Arabia saved regularly in 2016, with 88 percent managing to put money aside every month. As for the rest of the surveyed GCC countries, 27 percent of respondents saved regularly, with 90 percent saving monthly. Among the rest, 64 percent in Saudi Arabia and 58 percent in the other GCC countries saved whenever possible. The results indicated that 74 percent of survey participants in Saudi Arabia and 63 percent in Bahrain, Kuwait and Oman believe they lack sufficient savings for the future. Forty-five percent of respondents in Saudi Arabia and 55 percent in the rest of the participating GCC countries aim to increase their savings by five to 15 percent. Furthermore, 44 percent in Saudi Arabia and 29 percent in the other GCC countries plan to save 16 to 30 percent more this year. The index also showed that 47 percent of survey participants in Saudi Arabia and 59 percent in Bahrain, Kuwait and Oman received neither a pay rise nor a bonus in 2016. Of the 49 percent who did receive a pay rise or a bonus in Saudi Arabia, 15 percent claimed to have saved the whole amount. When questioned about the percentage of annual household income put aside, 18 percent of respondents in Saudi Arabia admitted to not saving any at all, while 14 percent saved less than 10 percent, and 35 percent saved between 10 and 20 percent. As for the rest of the GCC countries surveyed, 32 percent did not save anything, while 18 percent saved 10 percent of their annual household income. In Saudi Arabia, 18 percent of savers managed to put aside much less than planned, while 26 percent saved a little less than planned, 30 percent saved as much as planned, and 20 percent saved slightly more than planned. Only seven percent of the respondents confirmed that they saved much more than planned. Among the other GCC countries that participated in the survey, 28 percent of respondents in Bahrain put aside much less than planned, compared to 22 percent in Kuwait and 21 percent in Oman. The index further indicated that 30 percent of respondents in Saudi Arabia and 22 percent in the rest of the GCC countries did not encounter any contingencies that changed their saving plans in 2016. Elaborating on the factors that prevented non-savers from setting aside part of their income, 29 percent of survey participants in Saudi Arabia indicated high living expenses, 21 percent blamed loan payments, and 29 percent admitted it was due to a lack of knowledge of financial planning. 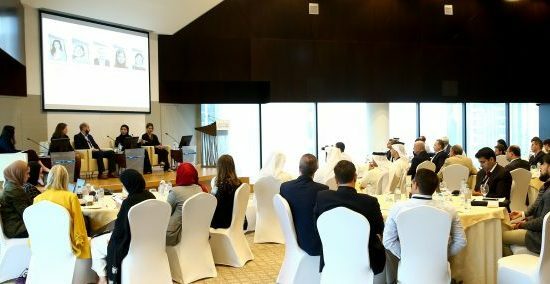 As for respondents from the rest of the participating GCC countries, the majority – 59 percent – said high living expenses made it impossible for them to save in 2016, and 18 percent cited loan payment obligations as the reason. Sixty percent of respondents in Bahrain, Kuwait and Oman expect to be financially stable in the near future, and 43 percent anticipate an increase in income. Similarly, 56 percent of those surveyed in Saudi Arabia foresee a financially stable future, and 39 percent expect a higher income. According to the index, 61 percent of savers in Saudi Arabia and 52 percent in the other GCC countries plan to increase their savings in 2017. Among non-savers, 48 percent in Saudi Arabia and 39 percent in other GCC countries intend to start saving. Inflation, high living costs and unexpected expenses featured high among the factors likely to affect the respondents’ saving plans during 2017. In Bahrain, 35 percent of survey participants quoted unexpected expenses, while 54 percent mentioned inflation and high living costs. In Kuwait, 63 percent believed high living costs may interfere with their plans, and 20 percent were wary of emergency payments. As for Oman, 18 percent cited unexpected expenses as a factor, while 51 percent blamed inflation. In Saudi Arabia, 42 percent of respondents felt they may be affected by high living costs, while 35 percent mentioned emergency payments as a hindrance to their saving plans.